Welcome to my borderline arbitrary predictions list for the most successful movies over the next year. At the end you can see how completely out of whack I was in 2013. It pains me a little to put this in pole position. A series of movies functionally assembled by the king of hyperactive action frenzies, Michael Bay, but having no discernable drawing power to any but an ardent collector of the toys (so, an eight year-old). They’re utterly forgettable movies, when they aren’t drawing attention to themselves for dodgy racial stereotyping, but they have the ability to take more than $1bn a time at the worldwide box office. It’s a disappointment Bay felt his pay cheque pulling him back to a franchise he had nothing left to give to two sequels ago, but he’s not exactly a movie maker I make special time for anyway. Mark Wahlberg’s on board this time; he doesn’t quite have the teen appeal LaBeouf and Fox once did, but I’m sure Bay’s making sure he hits the necessary demographic bases. I think there’s Dinobots in the mix too; no doubt a marketing mint is to be made there. The Desolation of Smaug is tipped to draw close to An Unexpected Journey’s WW $1bn gross when all is said and done, but much of that is down to international appetites. In the US Smaug is slipping, and adjusted for inflation the first Hobbit was significantly down on all The Lord of the Rings predecessors. The shelf life of the picture makes it a no-lose, but there’s definitely a feeling that Peter Jackson has screwed something up somewhere. The hubris of turning the tale into a trilogy, but with none of the natural epic grandeur? The obsession with ridiculous CGI at the expense of suspension of disbelief? Or simply leaving it too long, and relying on a previous generation to take it up anew? Jackson’s more likely to just be relieved it’s all over than celebrate come Christmas 2014. Catching Fire has sailed past the first installment internationally, and crept past it in the US, so while it may not reach that less-and-less prestigious $1bn mark, in the region of $900m+ is quite feasible. I’m dubious that the series’ popularity will expand substantially from this point, particularly in view of the cynical splitting of the final book into two (Young Adult fiction economics; see Twilight and Harry Potter). The first Dragon was a moderate success for DreamWorks. Less substantial than Kung Fu Panda, but enough to guarantee barrel-scraping sequels. In contrast to the by-numbers Pandas, however, Dragon was actually really good. And its success on the home entertainment market over the last three years virtually guarantees a huge audience ready and waiting to turn give it the Despicable Me 2 treatment. Possibly quality-proof; DreamWorks will certainly hope so, since their hit/miss ratio has been a concern of late. Is Christopher Nolan’s kingdom unassailable? Like Midas, does everything he touches turn to box office gold? It seems doubly that way after the success of The Dark Knight Rises, which, despite being not that great really (compared to its predecessor), made more than $1bn worldwide (like its predecessor). Inception cemented his reputation as a populist filmmaker of resounding intellect. Now that’s taken a bash with Rises (a pretty dumb movie, dressed in smart clothes), he needs to prove himself again. With a script from his brother, for a concept Spielberg was once attached to, this tale of freshly discovered wormholes holds much promise. And science fiction sells. My question would be regarding McConaughey’s box office appeal. Not that he needed him, but the presence of DiCaprio did no harm to Inception’s prospects. Can the one-time romantic comedy sloucher put bums on seats, complete with his lazy southern drawl? Sony had the virtue of the best of the Marvel superheroes, and they made good on him when Sam Raimi was aboard (the occasional hiccup in 3 aside). But the 2012 Marc Webb reboot was a mess; in script, design and visuals. It fell far short of its predecessors in the US, taking $150m less than the decade-old first installment. Which amounts to nearly $300m less, inflation-adjusted. That’s a clear sign of a shrinking franchise. And, while that’s not been so uncommon (see The Hobbit above), international has usually compensated. Spidey did, but not as heavily as one might expect. So I’m going to stay conservative on this one; the trailers suggest the makers are just as clueless in design terms, and as audience friendly as the Sinister Six are, they don’t appear to be approaching their array of villains with nearly enough panache. Success for animations isn’t such a difficult bet to make, but then again I thought Turbo might be the big hit last year and I couldn’t have been more wrong. I expect this will be a big hit; there’s the readily recognisable brand for a start. There’s the duo behind it, Phil Lord and Chris Miller, who have hits with both animation (Cloudy with a Chance of Meatballs) and live action (21 Jump Street); their self-aware sensibility is likely to make this just as much fun for the adults as the kids. 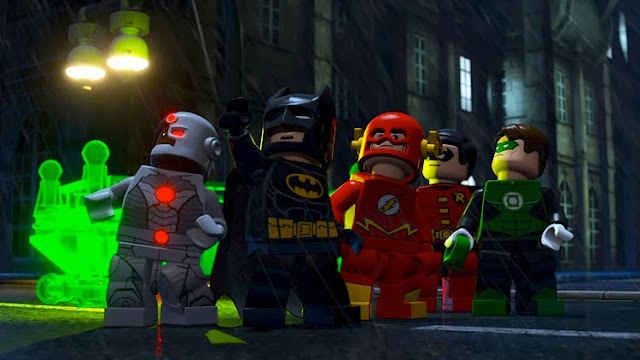 And there are the genre riffs (including Will Arnett as Lego Batman). If this really takes off, add another $200m to that estimate. The First Avenger kind of sucked, and the returns reflected that. I think that was the reason anyway, more than any doubt over a superhero proclaiming the might of the US of A. Aside from the rather forgotten Ed Norton Hulk, this is the weakest performance for a Marvel property, so there’s something to prove with the sequel. Thor: The Dark World tested the waters of post-Avengers Iron Man-free entities by celebrating significant gains (nearly $200m more worldwide) and, if the trailer is anything to go by, this should do likewise. Burton’s Apes reboot made roughly equal amounts at home and abroad, but Rise tipped the scales internationally for what has been a stop-start franchise of relatively home-grown appeal. Fox, which messed with Rupert Wyatt (fresh from a little British picture, and probably unprepared for big studio battles), was probably as surprised as anyone that it turned into a hit of nearly $500m WW. This wasn’t long after they tried to do for X-Men with Origins: Wolverine, making it all the more of a shock. An intelligent blockbuster, and one that succeeded in spite of featuring James Franco. Hopefully it has inspired the studio to keep with chancy plotting this time out; it looks like the movie will continue to favour the ape perspective, since none of the humans are big star names. Fox/Blue Sky has capitalised on the late March/early April period to release animated movies that might otherwise be engulfed by the big boys (Pixar, DreamWorks) during the summer months. Epic certainly suffered from arriving in late May last year. Rio couldn’t even come close to the Ice Age franchise, but at nearly half a billion worldwide it made more than enough to warrant a sequel. I probably have a blind spot for Blue Sky’s features’ popularity since I haven’t rated any as all that; if anything Rio was a little more involving than the Ice Ages. This may experience the kind of audience growth that the likes of Ice Age, Shrek and Despicable Me did between first and second outings, in which case expect about $700m, but I’m guessing there’ll be a merely comfortable increase. The only way X-Men would have cried out for the return of Bryan Singer is if Brett Ratner had threatened to a comeback instead. The one thing this series needs to get away from is a safe pair of hands. Witness The Wolverine, a serviceable but forgettable version of a tale set to wow everyone when Darren Aronofsky was attached (and then James Mangold journeyman-ed it into being). Matthew Vaughn was a breath of fresh air to First Class, and any notion that the absence of Wolverine adversely affected it was at least marginally quashed by the disinterest in The Wolverine in the States (were grosses now diminish with each successive entry). The Wolverine did decent business internationally, but hardly stunning. But this is a series that Fox will hold on for dear life to, and they’ve got a neat alternate future twist this time that allows the combination of First Class and veteran performers in one movie. It doesn’t look bad, but it doesn’t look like anything to get excited about. Since Marvel has got a grip of its own movies, the lost sheep (Spidey, X-Men) have looked increasingly lacklustre. I’m as doubtful about this as I was about Pacific Rim. More than 15 years ago, a previous Hollywood incarnation of the beast was widely seen as a failure despite racking up nearly $400m worldwide. Rim staggered over the $400m mark, accompanied by complete indifference in the US. So a big monster move has that to compete with, along with a tarnished view of the big lizard following the Emmerich movie (I never thought it was all that bad, but I’m not a Godzilla devotee). There’s a great deal of positivity towards this from movie geeks already, mainly due to the respect for the character that seems to have been carried into the project right down to the design. And because Gareth Edwards acquitted himself with the micro-budget Monsters. Of course, there was slobbering anticipation for Pacific Rim too. This is another one I’m tepid about. Marvel knows full well it’s a risk, so credit to them for taking it. A vast fantasy feature with a talking raccoon and a barely talking tree man. I’m up for it being a crazy, likable mess of a concoction, even if it doesn’t hit the spot with mainstream audiences. My big question mark concerns James Gunn, whose directorial work has been shonky at best. If this one takes off it opens the Marvel floodgates to all sorts of possibilities. If it doesn’t, they’ll likely be retrenching. Disney’s major animated feature for late-2014 isn’t yet another reimagined fairytale. It’s… a Marvel movie? Shades of The Incredibles? Not really, but as the title suggests this is a super team affair. The question is how much the cutesy Disney elements can combine with a more traditional superhero format. I wouldn’t bet against it, but like Wreck-It Ralph ($471m) it’s a question mark until it hits big. Like the inevitable National Treasure 3, this comes along by virtue of economic averages rather than discernable demand. 2009’s Battle of the Smithsonian was received equally less enthusiastically than the original by both US and International audiences (it made just over $150m less). It looks like Fox still think they can wring out one more hit (hey, a trilogy will sell in the bargain bins). Expect another $100m drop. There’s the Nolan factor (by association; former cinematographer Wally Pfister makes his directorial debut) and there’s the Depp factor (but his only sure things of late have been Cap’n Jack). And there’s a premise that sounds like it might have looked vaguely original in the ‘60s, but even then that’s a stretch. There’s also the variable reception to original sci-fi. You may get a Gravity, but more common have been reasonable (but not necessarily cost-justifying) performances of late (see Pacific Rim, Oblivion, Elysium, After Earth). Originally planned for 2013, this could be another DreamWorks underperformer. The trailers make it look like it’s sacrificing a distinctive premise (Mr Peabody’s a genius eccentric dog, and first appeared in the ‘60s TV The Rocky and Bullwinkle Show) for trying to hit every big CGI animation yardstick in the desperate hope that audiences will think it’s generic enough to be a big hit (which it might be). Which is a shame. Possibly this year’s Turbo (but since I called that as a hit, this one will probably storm the castle). The March release date may be its salvation (last year’s The Croods). These Stallone-driven assemblies of the known and not-so-known action legends of yesteryear (and the Stat) seem to be guaranteed earners. At this stage in his career the news that Harrison Ford is appearing is about as exciting as the news that Bruce Willis is not. But there are plenty of names to actually stir a modicum of interest. Top of the heap is one Mel Gibson, following Van Damme last movie and out to prove the villain may be the only real galvanising force to contend with here. But there’s also Wesley Snipes, Antonio Banderas (both former Stallone co-stars) and… Kelsey Grammar? Red Hill director Patrick Hughes may attempt to make the Stallone-script seem less moribund than it will no doubt be. The trailer for this “spin-off” concerning the Sleeping Beauty villainess was expectedly an identikit, colour-corrected gloomy fairy tale affair. Angelina Jolie looks the part, which I suppose is half the battle when that’s the only idea any one had in the first place. Effects man turned director Robert Stromberg is just the latest example of studios lacking the sense to test someone out on something that doesn’t cost and arm and a leg. But why does Disney expect anyone to show up? What’s the hook? The latest Snow White and the Huntsman-esque escapade, and probably doing slightly less business. The Wachowskis can never be bet against, but they’ve been doing their best since The Matrix to show that their whacky (Speed Racer) or lofty (Cloud Atlas) notions are far from a solid investment. This seems to be an attempt to strike a blow for bankability, with a space opera-y sounding tale of galaxy queens and benign mercenaries, but it looks like it lacks the giddy energy of Luc Besson’s The Fifth Element. Without the vital humorous spark (Channing Tatum and Mila Kunis?) the campiness could just fall flat. Another original sci-fi/fantasy that may get the bean counters questioning such properties. It’s Tom, now in his sixth decade but still larking about like a rambunctious schoolboy in an expensive sci-fi already being hailed as a Groundhog Day rip-off, without enough to distinguish it from Source Code. With a cast so white you’d think Cecil B DeMille was back making Biblical epics, I’m suspicious that the only movies that are really going to tap the religious ticket are ones made by religious moviemakers (Like Mad Mel). Paramount must really love Chris Pine, but Jack Ryan’s never really been a hot ticket internationally. Fincher’s notoriously expensive (Dragon Tattoo may not break even), so this Ben “Boring” Affleck thriller will have to really hit the spot to succeed (i.e. do a lot better than Dragon Tattoo). Everyone’s after the next Young Adult break-out hit, but even given the Summit/Lionsgate relative hot touch I’m going to guess moderate enough to guarantee sequels but not a next Hunger Games. Melissa McCarthy had two $100m+ hits in the US in 2013; there’s no reason to think this road movie comedy with Susan Sarandon as her mum won’t follow course. I don’t know who wants to see these Turtles, since the original movies were shite, but I didn’t countenance the resurgence of Transformers either. I’m not even sure auteur Paul W S Anderson has started making this yet, but in “eye-popping 3D” it’s most likely quality proof. No one really thought this was a good idea, hence it took the prequel so long to come together. Robert Downey Jr first non-Sherlock, non-Stark dramatic role in five years; I want to see him as Robert Duvall’s son, but a lot here depends on the quality of the script.